You are here: Home / Strategy / How best to use GMAT Official Practice Questions? 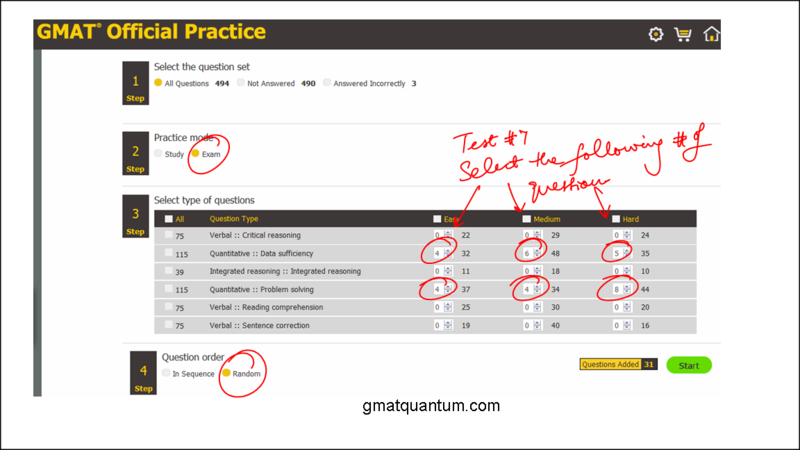 How best to use GMAT Official Practice Questions? 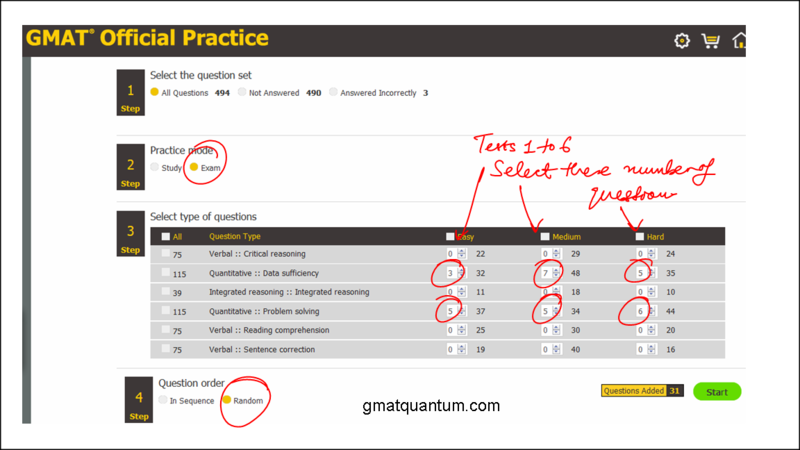 The best way to use the 230 quantitative questions in the online GMATPrep Official Practice Questions (earlier known as GMATPrep Question Pack 1) is to create timed practice sets. Select a total of 31 questions of different difficulty levels, 15 from data sufficiency and 16 from problem solving, and do them in 62 minutes. This is an excellent warm up throughout your GMAT preparation, especially prior to taking the Official full length GMAT practice tests. One can create 7 such sets, which totals to 217 questions. Granted that one won’t get a score, but the purpose here is to add the pressure and stress of the timed GMAT exam. This is an important element of the exam that one needs to get used to. Afterwards, you can review the questions that you missed and refer to my video explanations. The images below list the number of problems to select from the different categories of problems in the GMAT Official Practice Questions. The first image shows the distribution for Test#1 through #6, and the second image is for the Test#7. 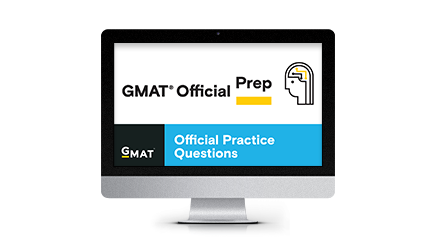 You can access my video explanations to all of the practice questions at this link: GMATPrep Official Practice Questions.